My eldest boy Dominic has got to the stage where if I shut my eyes for a few seconds, when I open them I’ll find that he’s grown several cm. He never gets any wider, just taller! The trousers that a couple of months ago fitted fine, now leave about 4 cm of ankle showing. I’ve made things for my younger boys quite recently, and I’ve got plans to make something for the second one over Christmas, but it’s been a while since I’ve made anything for him. So I decided to make some tracksuit bottoms. 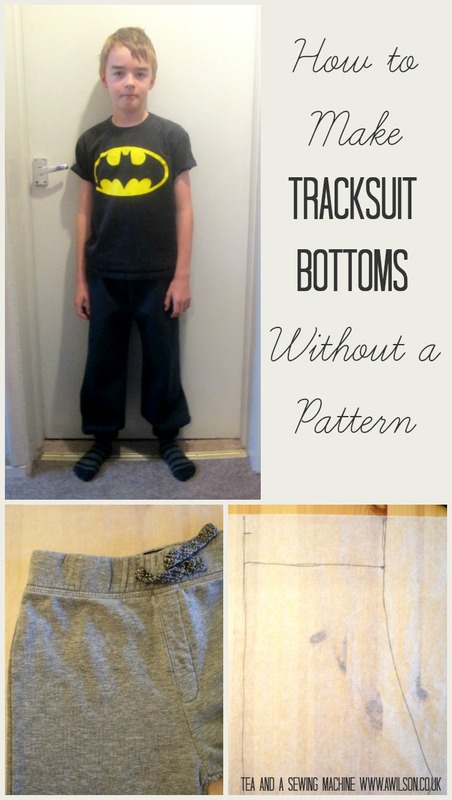 It’s very easy to make tracksuit bottoms and as they’re loose fitting, they don’t need to be an exact fit. So they’re a good thing to make if you want to try making clothes without a pattern and you’d like an easy first project. Even if you’re not one for wearing tracksuit bottoms, they same approach can be used to make pyjama trousers or light cotton trousers for summer. 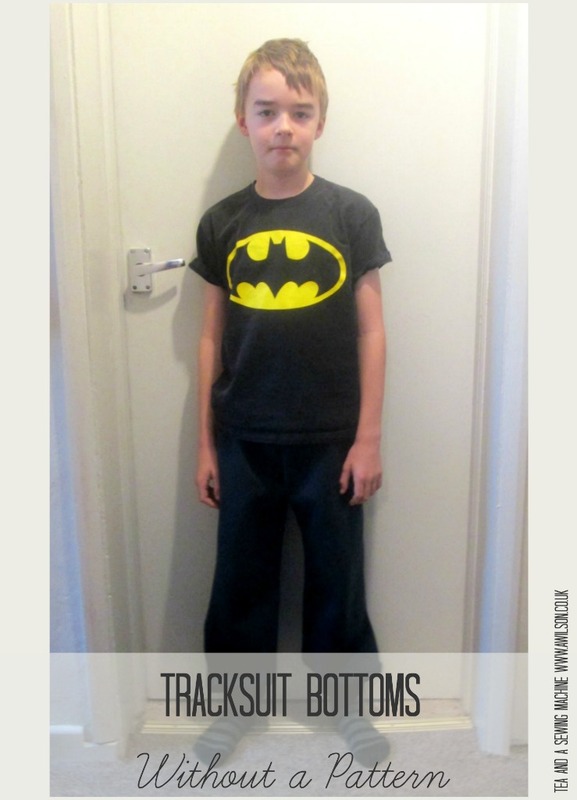 The full tutorial showing how to make tracksuit bottoms is here on the Minerva Crafts Bloggers’ Network. They’re made from two pieces of fabric, one for each leg, The waist is elasticated and so are the ankle cuffs. 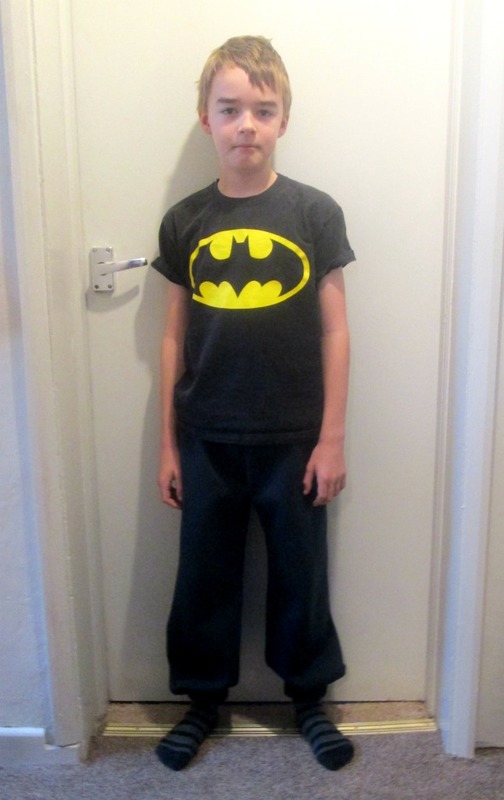 I used a pair of Dominic’s old trackies as a guide and added a few extra cm. The fabric I used is this polyester jersey. I was expecting it to be stretchy but it’s not, so it’s easier to sew! It’s nice and thick and the wrong side is fluffy, so perfect for a warm pair of trousers! I used waistband elastic, which is constructed in a different way to normal elastic. It’s much firmer and hopefully will stay stretchy and not go droopy! 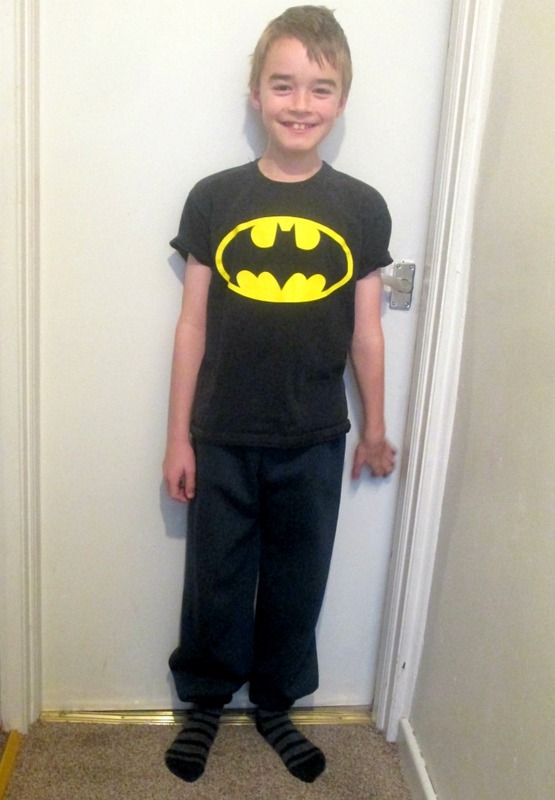 Dominic is happy with his trousers and I think I’ll make some more! And perhaps I’ll make some pyjamas for myself.